Anthi graduated from Centennial College as a registered massage therapist in 2008. Anthi brings to her practice, energy, enthusiasm and a passion to help her clients. She listens to her clients’ concerns and creates a custom treatment plan to address them effectively. She uses various modalities such as stretching, Swedish massage, myofascial release, and trigger point therapy among others. Part of Anthi’s commitment to her clients is shown through her passion for continuing to upgrade her education in massage therapy. Recently, she successfully completed Dr. Vodder’s, Manual Lymph Drainage and combined Decongestive Therapy program. Many clients who have had lymph nodes removed from conditions like cancer, can benefit from lymph drainage. One of these benefits being reduced lymphedema. In addition, she also completed a course in sport massage. Anthi’s goal is to help her clients return to and/or enjoy a healthy life. Knowing that no one can truly heal without the right building blocks, Anthi studied at the Institute of Holistic Nutrition where she successfully graduated as a Registered Holistic Nutritionist. 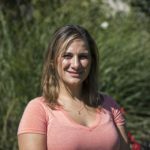 Her knowledge and passion for nutrition has given her the ability to educate clients and create targeted plans that further compliment their overall wellness.